US president Barack Obama has chosen Jackson Park in Chicago as the site to build the library that will commemorate his term in office. 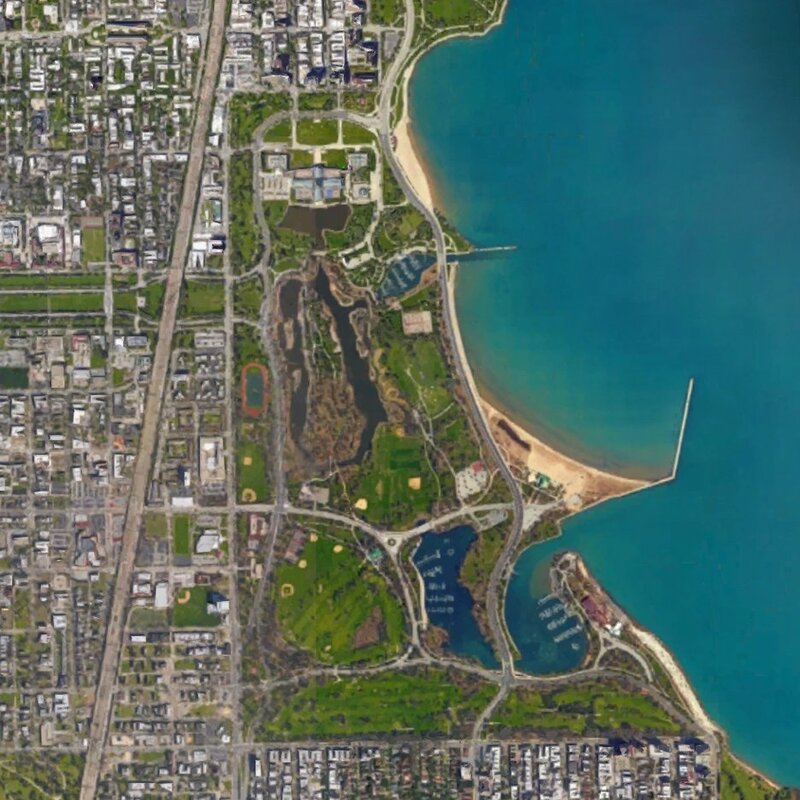 Although the official announcement is not due until next week, the Chicago Tribune has revealed that the location was selected over Washington Park – another green space in the city's South Side. The historic Jackson Park was designed by Frederick Law Olmstead and Calvert Vaux for the 1893 World's Fair. It is situated on the shore of Lake Michigan, close to the University of Chicago, in a low-income neighbourhood. First lady Michelle Obama was born and raised in the South Side, and her husband was also first elected to public office there. The library is anticipated to bring money into the area surrounding Jackson Park, however some claim that Washington Park would benefit more from the economic boost. Chicago's Friends of the Parks organisation is reportedly unhappy with the decision to build in a park, but is not expected to challenge the proposal as it did with plans for the Lucas Museum of Narrative Art – which has been forced to abandon the city for California. The site selection comes a month after the announcement that Tod Willams and Billie Tsien are to design the building, with help from local studio Interactive Design Architects (IDEA). The team was selected from a seven-strong shortlist that included David Adjaye, Renzo Piano and Snøhetta. The Obama Presidential Library is estimated to complete in 2021 and cost at least $500 million (£380 million). The project will include a library housing the presidential archives, a museum devoted to Obama's eight-year tenure and the headquarters of the Obama Foundation. Previous presidential centres include Robert A M Stern's George W Bush Presidential Center in Dallas, Texas, and the Clinton Library in Little Rock by Polshek Partnership – now known as Ennead.